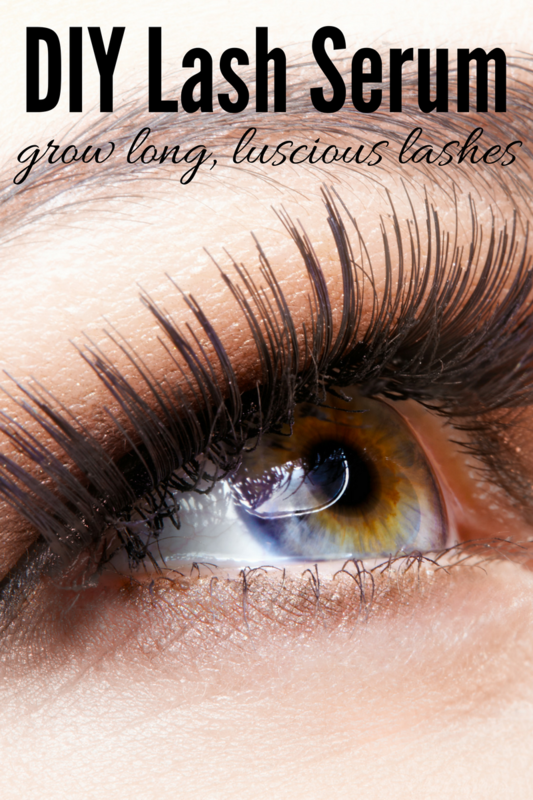 Eyelash Serum is very popular among women who are trying to help support long, luscious lashes. While it’s relatively easy to go out and find eyelash serum at many popular beauty retailers, it’s not very affordable. There is a connection between your eyelashes and your health ~ when you eat a diet that is rich in fat soluble vitamins including vitamin A, K and E, as well as water soluable vitamins B and C, as well as collagen, then you are more likely to have naturally long, thick lashes. (Raw milk is one of the few foods as the butterfat in the milk is rich in fat soluble vitamins). A few of my friends recently started adding Cedarwood and Lavender Essential Oil to their mascara in efforts to help support their healthy lashes – and I wanted to totally jump on that bandwagon too. Except… I haven’t used mascara in years, simply because organic varieties were so expensive, and regular commercial varieties are full of questionable things. I was able to order a bunch of empty tubes and figured I would combine a little Castor oil with my essential oils to make my own serum that could support my lashes without the questionable ingredients in store brands. Why make your own Serum? I’m not sure about you but I would rather not spend a whopping $65 for something that I could possibly make for much much less. But there is anothe reason to avoid using the variety sold in store – you end up dealing with a bunch of ingredients that are less than favorable. Water, Glycerol, Glycosaminoglycans, Hyaluronic Acid, Butanamide, Leuconostoc/Radish Root Ferment Filtrate, Caprylyl Glycol, Sodium Benzoate, 2-Hydroxypropanoic Acid, Sodium Pca, Panax Ginseng Root Extract, L – Proline, Ancathopanax Senticosus (Eleuthero) Root Extract, Hydrolyzed Yeast Extract, Phenoxyethanol, Chamomilla Recutita Flower Extract, Ethylhexylglycerin, Arcotostaphylos Uva Ursi Extract, Tocopheryl Acetate, Sorbitan, Gluconolactone, Isopropyl Cloprostenate, Propylene Glycol, D – Glucitol, Triethanolamine, Actiphyte Of Chamomile GL, Hydroxyethycellulose, Leucidal Liquid, Geogard Ultra. Sodium Benzoate is the cheapest mold inhibitor on the market, and it actually chokes out your body’s nutrients at the DNA cellular level by depriving your mitochondria cels of oxygen. Cells need oxygen to function and fight off infection (read more about it here). 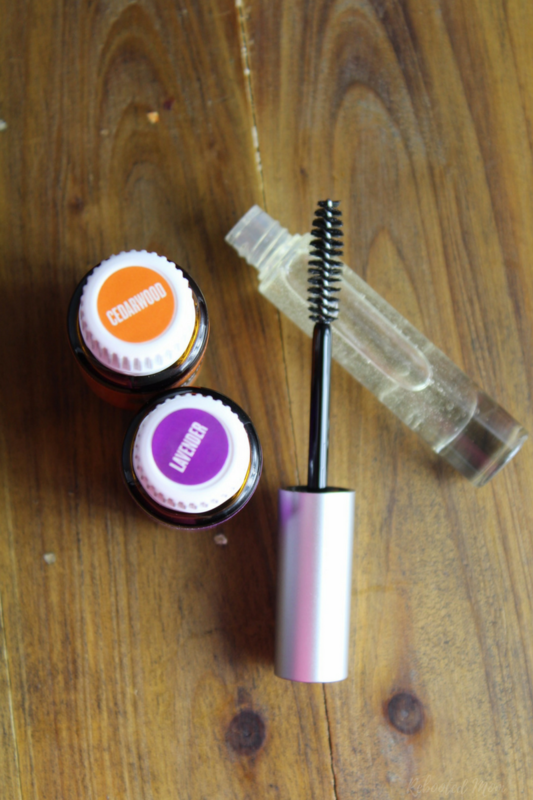 Yikes and yikes – make your own lash serum with just a few simple ingredients. Use this lash serum for 4-6 weeks on a consistent basis (daily) to see results – come back and let us know how your lashes look. We’d love to see them! What ingredients to use in lash serum? Making your own lash serum is so incredibly easy – it requires a few basic ingredients that you can pick up at your local health food store or even on Amazon. Castor Oil: Is rich in fatty acids (particularly ricinoleic acid) that is great for hair, skin and lashes.). Cedarwood and Lavender Essential Oils: Each of these essential oils are wonderful for supporting healthy skin, hair and lashes. See what oils we use by heading here. Vitamin E (optional): I capsule, cut the tip and squeeze in. Empty Mascara Tubes: Empty mascara bottles are SO easily to use – they are very inexpensive and you can pick up 5-6 for the cost of one commercial mascara in store. Each of them has a small piece that plugs in to the top of the container once you fill it up. You don’t want to fill up the tubes to the top – fill up only 1/2 – 3/4 of the way. Lets talk about putting this together – there are a few things that will make it SUPER easy. If you are near to a grocery store, pop in and pick up a small squeeze bottle with a pointed end. They are usually located in the same aisle as the baking items (cake decor, etc.). Step 1: Fill that bottle halfway with castor oil. Step 2: Then, grab your empty mascara tube, and pull out the wand. There will also be a small plug that you will want to set aside too… I can’t recall what it is called but it’s important – so don’t toss it. Step 3: Using that squeeze bottle with the pointed end, fill up that mascara tube to at least half, but no more than 3/4 full. Cut the tip off of the Vitamin E capsule and squeeze into the bottle. Step 4: Add 2 drops of each Cedarwood and Lavender Essential Oils, then push the plug into the top of the mascara wand, and insert the mascara wand. Give it a shake to mix things up a bit. Step 5: Use it morning and night to give our luscious lashes some love. Be cautious though not to get it in your eyes! One of the best tips to remember is that as hard as you might try not to get it in your eyes, if in any event you do, avoid using water to rinse out the eye area. Apply a little carrier oil – like sweet almond, fractionated coconut, jojoba oil or avocado oil over your closed eye and massage gently to work out the quirk. Have you tried Cedarwood and Lavender Essential Oil in your mascara? 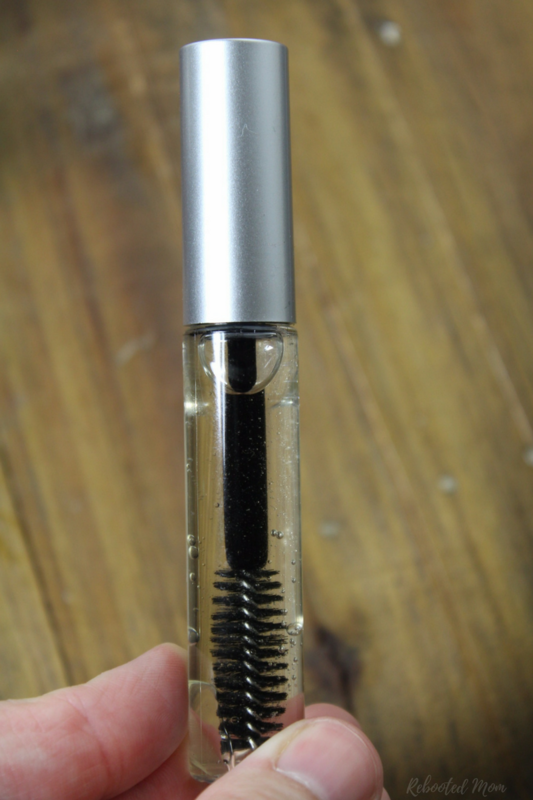 Or have you tried making your own lash serum? 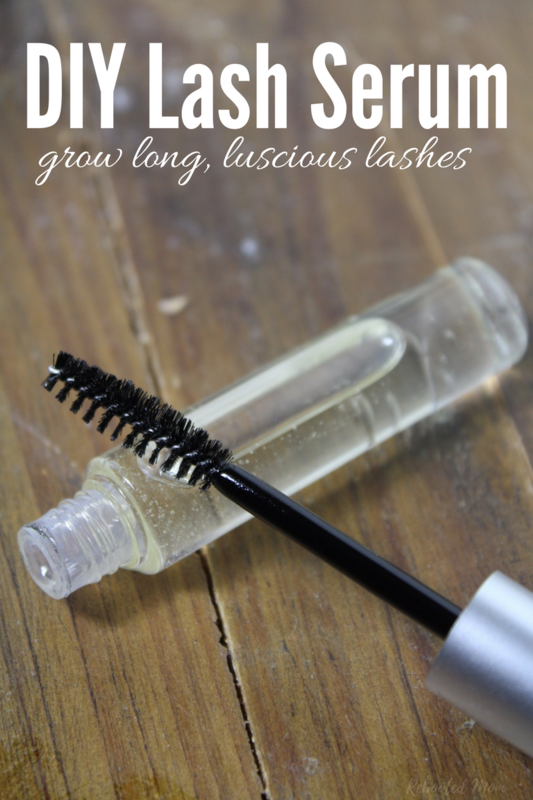 Share the post "DIY Lash Serum (for Long, Luscious Lashes)"